San Luis Potosí is a large state in north-central Mexico, the state’s colonial capital. It is limited by 9 states and lies in an economically advantageous area at the heart of the “triangle" formed by the three largest cities in Mexico: Mexico City, Guadalajara and Monterrey. 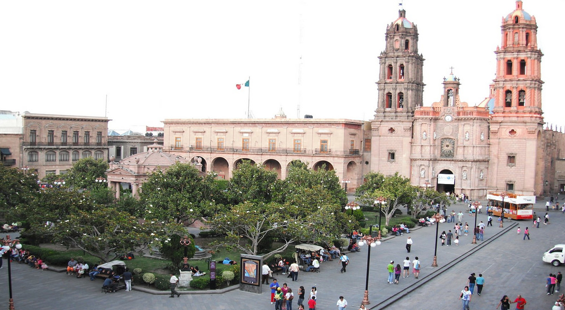 San Luis Potosí is currently an industrial center, located in a rich agricultural, livestock, and mining region. It is also a strategic commercial and education center due to its geographical location and its means of communication and transport. For more than a century it was also an important railroad center. In recent years, the city has attracted the attention of European and American investors; its political, social, and economic stability has convinced large multinational companies to assume a presence there and to buy land, on the outskirts of the city. Companies like BMV, General Motors, Good Year, L’Oreal ant the Wind Farm Dominican Republic Dominica Energía Limpia.